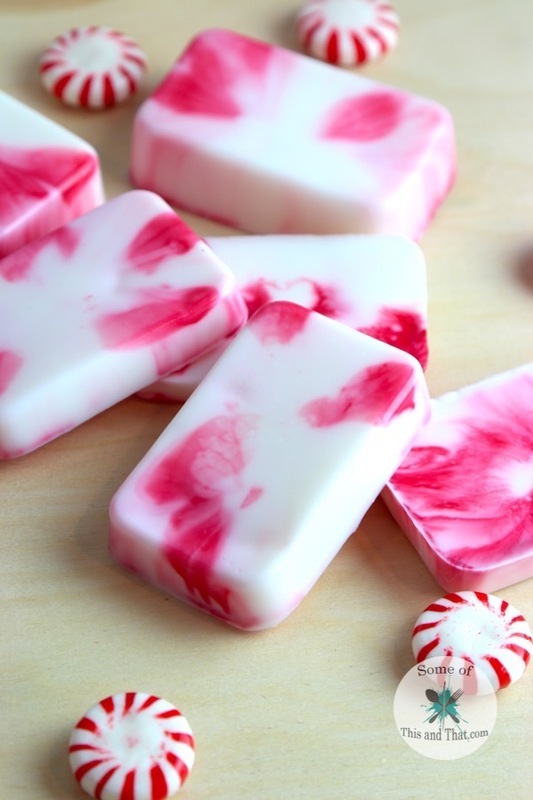 DIY Peppermint Soap 2 Different Ways! 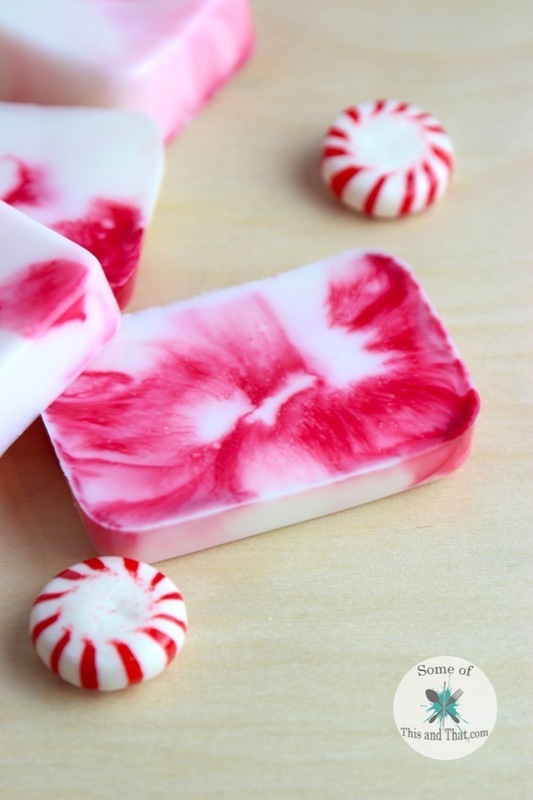 DIY Peppermint soap 2 ways! I love playing with Melt and Pour soap. 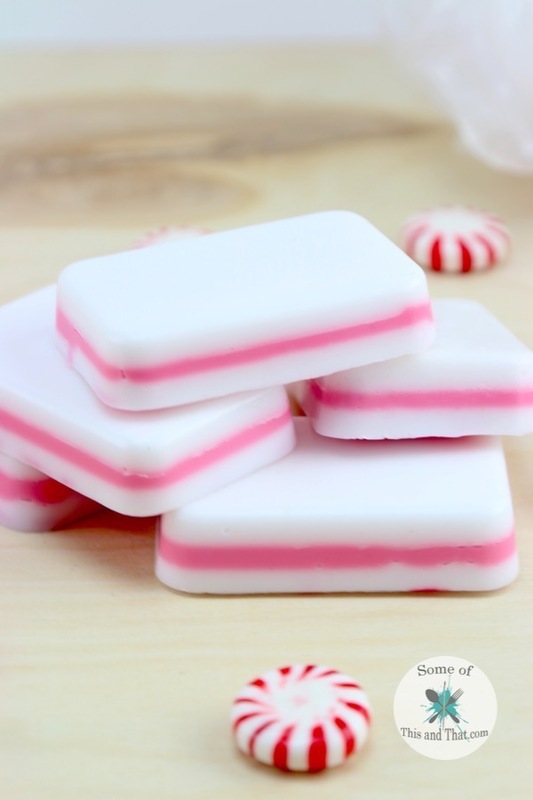 While I do make soap from scratch, melt and pour just makes it easy to make fun soap that is perfect for DIY gifts! 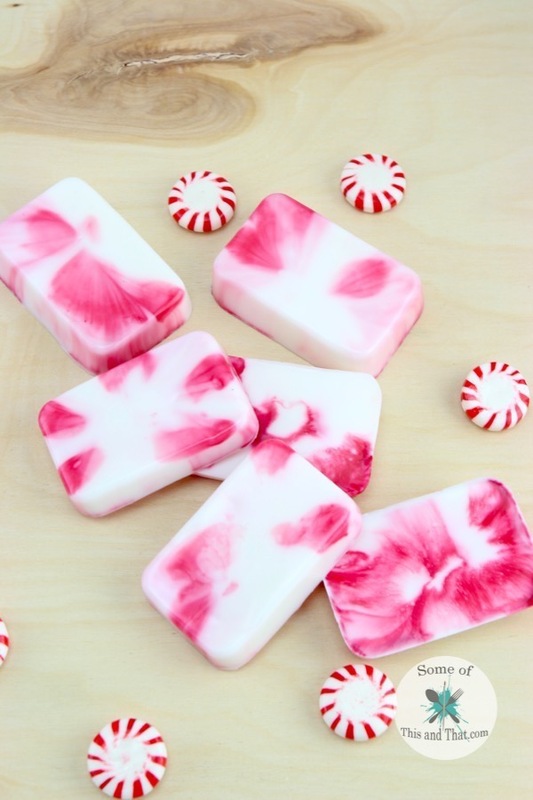 When I was making some DIY Peppermint soap I decided to experiment a little, and found a fun way to give soap a watercolor look. I love the traditional layered soap look, I wanted to make some gifts that my teenage daughter could give to her friends. This is where the idea to water color the soap came from. It just goes to show you that experimenting with your crafts can result in something amazing! I absolutely LOVE how this soap turned out! I was a little scared at first, but once I gave it a quick spritz with rubbing alcohol I knew it would look great! Not to mention, this soap smells AMAZING! 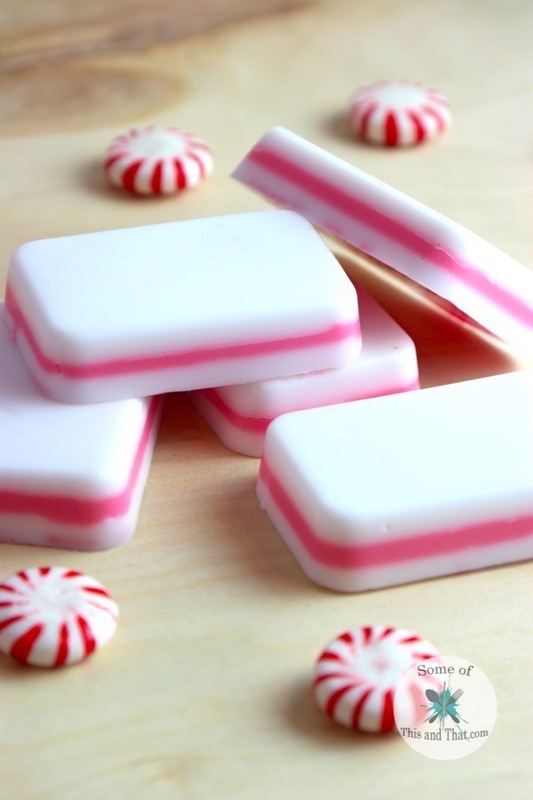 Give me peppermint over pumpkin spice any day! You can add what ever scent you would like, but I just love Peppermint look and smell! To see how I made both soaps, check out the video below! Be sure to check out all of our other DIY Gifts that we have here! Or, follow us on Pinterest for more fun and easy gift ideas! What are your favorite types of DIY gifts to give? Previous Post: « Free Deer Head Printables!